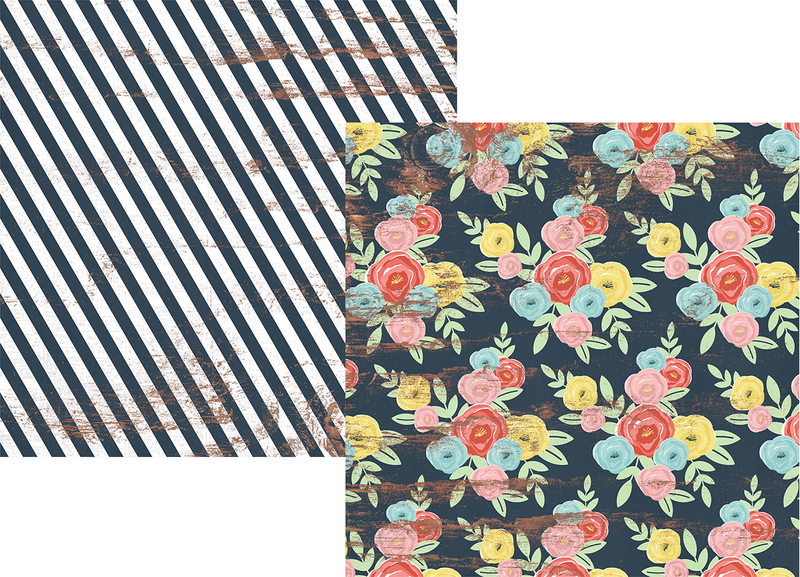 This 12x12 double sided paper has Large Bold Florals on the frontside -- Very Shabby Chic... distressed.... Loving it! The reverses side has Black & White Diagonal Stripes that are also distressed. Part of the Welcome Spring Collection by Simple Stories. Look for coordinating Simple Set, Sticker Sheet and Designer Papers.